Few career choices come with as many risks as firefighters encounter every time the fire alarm sounds. Nevertheless, firefighters generally agree that the rewards of their careers far outweigh the health risks. It may not be surprising for you to learn that according to the Federal Emergency Management Agency (FEMA), burns and smoke inhalation are responsible for about 34% of all firefighter injuries. It may also not be so surprising that about 24% of firefighters risk strains and broken bones from falls or wearing and carrying heavy equipment, according to the U.S. Fire Administration. 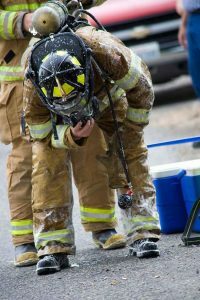 Perhaps you may be surprised to learn that firefighters have higher rates of cancer than others due to exposure to carcinogens, chemicals, and other substances which firefighters inhale or absorb through their skin. Burns and broken bones are visible reminders that firefighters risk their own lives in their quest to save others, but there may be more to the injuries than what you can see. Back at the firehouse after a call, firefighters slip out of their flame retardant gear and hang up their masks. If it were only as easy to shake off the invisible wounds that remain after an emergency call where they saved lives and limited the effects of extensive property damage. Our society identifies firefighters with bravery, courageousness, and perhaps, a degree of sexiness. Most firefighters admit that they appreciate the admiration that they get from the young and old. It stands to reason that many people could so easily overlook the emotional toll of job-related stress. What are the wounds that we can’t see in our firefighters and how well are they coping with stressors? A study on German firefighters in the late 1990’s revealed that about 18% of firefighters reported having symptoms of post-traumatic stress disorder (PTSD), and about 27% of firefighters had some type of mental health disorder. Job-related traumatic stress often developed into additional psychiatric disorders like depression, perceived health issues, social incompetence, and substance abuse. More recently, a 2016 study released by the International Association of Fire Fighters showed that PTSD in firefighters rivaled the rates of PTSD in combat veterans. Firefighters can’t avoid the trauma that they experience on a daily basis, so how do they cope with the emotional duress? Some researchers believe that firefighters are not coping with it very well. Studies point to large percentages of firefighters who use alcohol or drugs as coping mechanisms to manage traumatic stress. This number could potentially be low if we consider the stigma that surrounds drug abuse and alcoholism, which likely prevents many firefighters from seeking treatment. How prevalent are addictions among firefighters? Occupational Medicine released a study in 2012 that revealed that 56% of career firefighters had been binge-drinking within the previous month. Career firefighters admitted that letting off steam at the local bar after a stressful call was common, and that alcoholism within their profession was acceptable. In addition to experiencing traumatic stress on the job, firefighters work irregular hours. Long shifts and rotating shifts throw off their equilibrium, making it more difficult to get restful sleep than those who work regular hours. Lack of sleep and varied eating routines take a toll on their physical and emotional health. Firefighters need to take the status of their health seriously so that they can meet the demands of their jobs effectively. It helps when firefighters develop a firehouse culture of awareness of job-related risks, which includes caring for each other and a commitment to self-care. 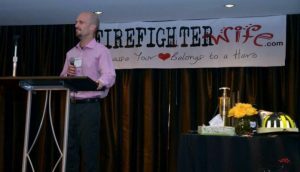 Firefighters who are struggling with alcoholism or addictions need help and support for finding healthier ways for coping with traumatic stress. Early intervention is the best defense against addictions, which are bound to get stronger without treatment. Firefighters are as different from each other as you are from your neighbor. Every person has different degrees of resilience, which means that some firefighters are more prone to getting PTSD than others. 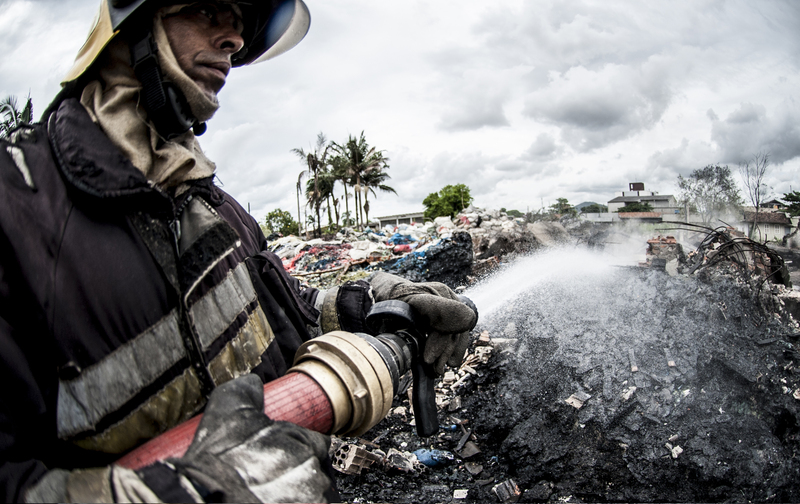 Depending upon the frequency and severity of the emergency calls, some firefighters are resilient and will overcome the stress of calls over time. Firefighters, coworkers, and family members should be especially aware of stress that lasts for more than three months, causes extreme duress, or disrupts the firefighter’s home or work life. Re-experiencing the event-these symptoms can be in the form of nightmares, flashbacks, or triggers that cause the same feelings and emotions as the actual event. Avoiding situations that trigger the event-avoiding newspaper or media articles about the event, avoiding similar circumstances, and avoiding talking about the event. Having negative thoughts and feelings because of the trauma-the trauma may cause them to take a chronic negative view of life and relationships. Feeling hyper-aroused or overly anxious-extreme stress causes them to be jittery, on edge, and easily startled. As with the risks of substance abuse, firefighters, their co-workers, and families need to have an awareness of the effects of PTSD on the firefighter, as well as how the stress manifests in the firefighter’s home life and family relationships. The irregular hours that firefighters keep make many spouses feel like they are alone or single parents. 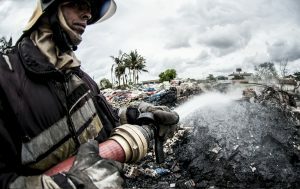 Even when the firefighter is home, the effects of stress or addictions cause situations where the firefighter isn’t able to be emotionally available. Spouses and other family members begin to feel isolated and shut out. Before long, conditions are ripe for the marriage to crumble, and their relationships with children and others become distant. Who is better equipped to treat firefighters with PTSD and addictions because of job stress than a team of therapeutic peer professionals? That’s what makes Frontline Responder Services different than other substance abuse or clinical programs. The counselors at Frontline are active or retired first responders with lived experience of the challenges and stressors that firefighters face on the job and at home. That’s why they also developed unique programs for firefighters and other first responders who struggle with addictions and PTSD, and have programs for their families. First responder clients get a comprehensive trauma assessment that helps the team prepare an individualized treatment program. Because firefighters return to a stressful environment every day on the job, the programs at Frontline have a heavy emphasis on continuum of care. The crisis nature of firefighting requires firefighters to have good judgement and focus. It’s crucial for them to be addiction-free and have any symptoms of PTSD under control. Firefighters regularly give the gift of life to their communities. Communities can return the favor by supporting the risks to their physical and mental health that accompany their duties. Get treatment for the firefighter that you love and care about and get support for the rest of the family at Frontline Responder Services. Call today at 866-676-7500. To Learn More About Frontline and Advanced Health & Education click our blue highlighted name.